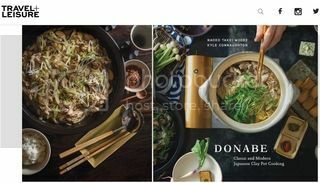 HAPPY DONABE LIFE - Mrs. Donabe's Rustic Japanese Kitchen: DONABE Cookbook...More media coverage! 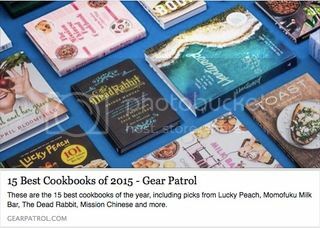 Wow...I learned more media are choosing my DONABE Cookbook as one of the best cookbooks of 2015!! 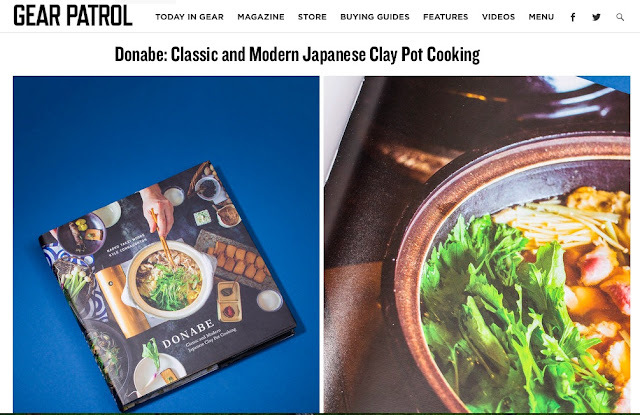 Gear Patrol (news/ media website for men) chose DONABE as one of 15 BEST COOKBOOKS of 2015. 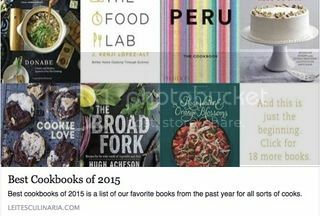 DONABE is included in Leite's Culinaria's BEST COOKBOOKS of 2015. PlateOnline.com chose DONABE as one of the BEST FOOD BOOKS of 2015. The Sacramento Bee, featured an article, including my comments, about DONABE, and it was also introduced in BOOKS! THE PERFECT GIFT FOR THE MOST DIFFICULT PEOPLE ON YOUR LIST. 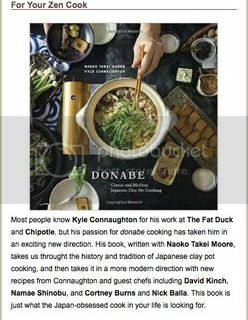 Travel + Leisure, introduced DONABE in the article, 16 NEW COOKBOOKS FOR THE TRAVELER WHO LOVES TO EAT (my book concluded the list!). 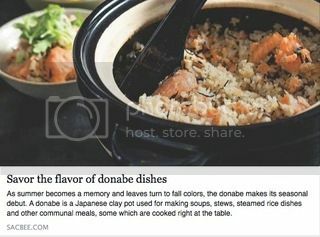 Happy donabe life is spreading!